My tripod sits with one leg precariously perched on a piece of rock overhanging a 1000 foot cliff. Below, the Colorado River meanders around giant cliffs of sandstone. 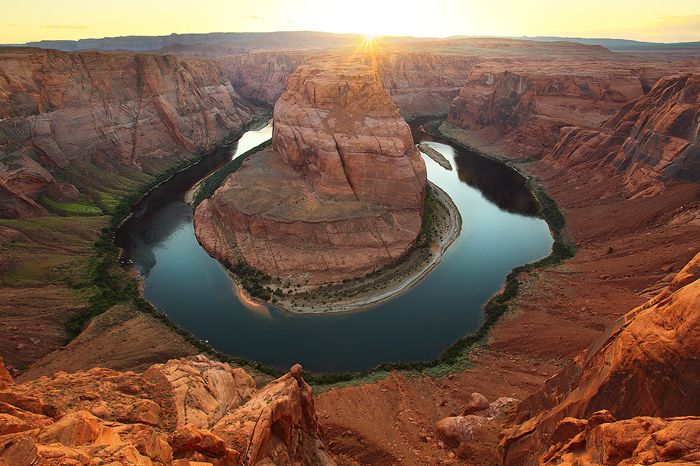 Over millions of years the Colorado River has cut numerous natural wonders throughout the Colorado Plateau. Not far downstream from Horseshoe Bend is the Colorado River's greatest masterpiece. The Grand Canyon.